We look at ten of the best home audio interfaces across a range of price points, with portable units and extensively connectable rack-mounted options featuring. The home studio is now more common than ever, with domestic set-ups now capable of producing results that previously would have required many thousands of pounds to achieve. Although this is in no small part due to the falling price of computer hardware, any external instruments or microphones will be useless without a decent audio interface to capture their sound. 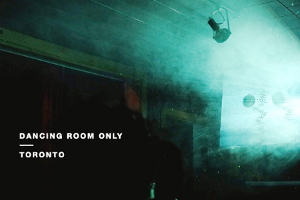 Although affordable units with exhaustive connection options are increasing, recent years have seen large feature sets crammed into ever smaller packages which are easily transported in a backpack for live performance or collaborative studio sessions. 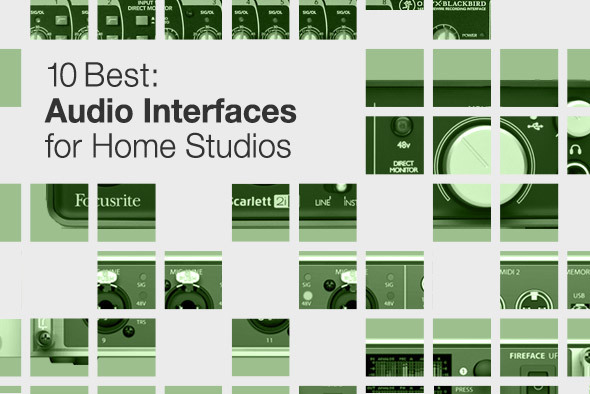 This list attempts to navigate both types, choosing ten audio interfaces spread across the price range which will deliver vastly different attributes to your home studio mix-downs. The Lexicon Alpha is a simple audio interface that is ideally suited to Mac or PC owners that want to dip a tentative toe into the world of home recording. The unit itself contains two input channels with an instrument input on channel one and an XLR microphone input on channel two. It should be noted that there isn’t any 48 volt phantom power on the unit, partially due to the fact that the Alpha is completely powered from your computer’s USB bus. If you are recording a stereo instrument, such as a keyboard, then there are two 1/4” line inputs on the rear. You can adjust your monitor mix using the dedicated knob that allows you to get a good balance between the channel that you are recording and any playback you are recording to. There is also a dedicated main output level control. The Lexicon Alpha has a set of stereo RCA outputs, as well as left and right 1/4” TRS outputs and if needed, there is 3.5mm headphone port on the front panel. To aid your exploration of home-based productions, Lexicon have included a light edition of Steinberg’s Cubase 5 as well as their acclaimed Pantheon VST reverb plug in. The Alpha is the perfect choice for those that want to try home recording for the first time or for users needing a simple audio interface that they can easily carry around with them. 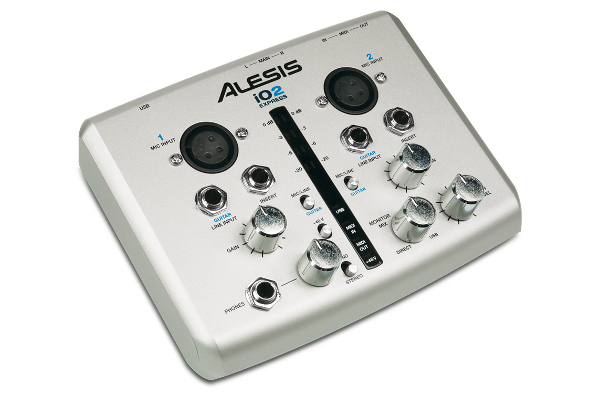 For producers on a tight budget, the iO2 Express from Alesis comes as a compact two channel USB solution. Each input channel has a separate XLR and 1/4” TRS jack port, as well as a 1/4” TRS insert port that will accommodate recording with external effects, while switchable 48-volt phantom power will get the most efficient use from your microphone. To help you get the best input signal you are also afforded dedicated gain controls for both input channels. You can monitor your sessions by plugging your speakers into the1/4” TRS ports on the rear, or by using the top facing headphone socket with its own level control and mono/stereo switch. One of the advantages of this unit is in its portability, making it ideal for working with a laptop in, or out, of the studio, and being bus powered it means that there is no need to pack cumbersome power cables. The iO2 Express also ships with a light edition of the hugely popular Steinberg Cubase music production software, and being class compliant, it means that you can simply plug your iO2 Express into your Mac or PC without the hassle of installing troublesome drivers. The functionality of this pint-sized interface doesn’t end there either as it features MIDI I/O ports on the rear for connecting any kind of controller that supports MIDI, including keyboard controllers. Add to this the stereo level meter for visual monitoring and you have a unit that is as flexible as it is affordable for producers on the move. There isn’t a major studio on the planet that doesn’t feature some Focusrite equipment being used on a daily basis, and part of the huge popularity of this brand is their knack of combining high quality components in simple and easy to use gear. In particular, they are famous for their pre amps, and even in a small two input, two output audio interface like the Scarlett 2i2, they don’t disappoint. With two combination inputs (XLR/1/4” TRS), line/instrument selectors and gain control on each channel, this interface couldn’t be easier to use. To help you get a good clear signal going into your computer there is visual feedback in the form of a halo LED indicator around each gain knob. When there is a level signal going in, it shows green and as it gets hotter it changes colour with red indicating peak level. 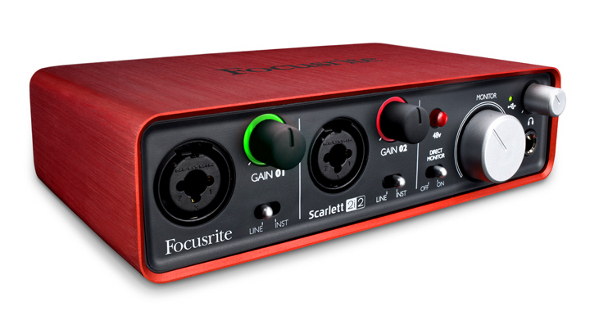 The Scarlett 2i2 from Focusrite has an equally simple output system in the shape of stereo 1/4” jack ports on the rear of the unit, a headphone port on the front with separate level controls for the main outs and the headphone outs. You can also toggle between direct monitoring of the input channels and playback, and if you are using a good quality condenser microphone, then there is phantom power to help you get an optimum signal. The Scarlett 2i2 comes with Ableton Live Lite software as well as Focusrite’s Red range of plug-ins, including a compressor and reverb. This unit is suited to musicians looking for a quality audio interface that is simple to use, can be taken out of the studio and on the road and at the same time won’t break the bank. 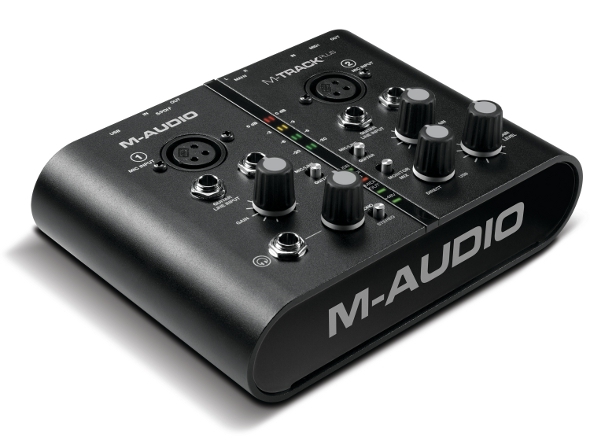 Simple two channel USB audio interfaces are ideal for busy musicians and producers that are constantly moving from plane to hotel room, and the MTrack Plus from M-Audio makes for a compelling travel companion. It features two input channels with gain level control as well as dedicated XLR and 1/4” TRS sockets. The switchable 48 volts helps you get the most from your mics and there is a switch that will allow you to plug guitars directly into the interface for recording without any added fuss. The robust chassis features a clear segment meter for visual reference as well as main output level control and a headphone socket with its very own volume control, while its compact design also has MIDI I/O for connecting keyboard controllers or any device that can transmit or receive MIDI. The design is similar to the iO2 Express from Alesis but in this case the MTrack Plus features digital I/O in the form of S/PDIF as well as the stereo 1/4” TRS outputs. Impressively, the MTrack Plus from M-Audio comes with two sets of complementary software in the shape of Pro Tools Express, that needs little introduction, and Ignite from AIR Music Technology, which is software designed to allow you to quickly arrange musical ideas, featuring 275 software instruments as well as supporting audio recording with effects that can be added later; you can also export .wav and MIDI files for importing into larger projects on other platforms at a later date. 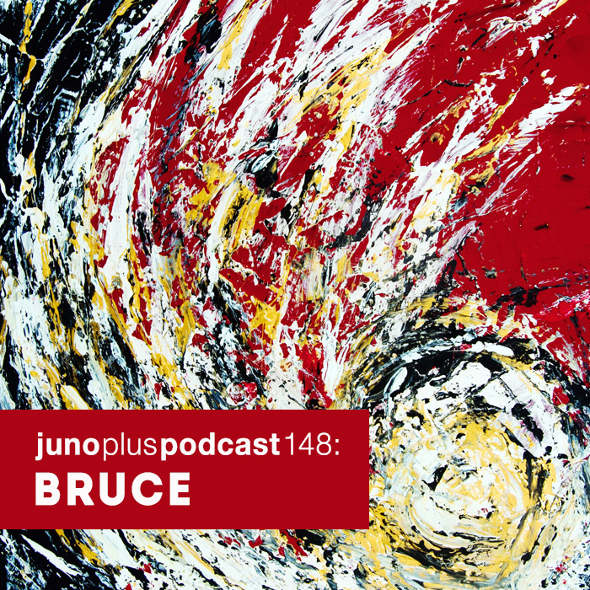 Sometimes recording projects come along that require an interface that can handle more than a few input and output channels at the same time. The Onyx Blackbird from Mackie is one such device, featuring eight high end Onyx mic pre-amps with Cirrus Logic AD/DA converters in a single rack mountable unit that connects to your computer via Firewire. The inputs are served by combination ports that allow for XLR & 1/4” TRS jacks and also features so-called super channels that contain built in DIs with lo-cut at 80Hz that will allow you to deal with almost any kind of input signal that is thrown your way. There are two headphone ports on the front of the unit with independent level control, easing monitoring duties during recording. You can plug your studio monitors directly into the Onyx Blackbird, although it features two other stereo outputs, making three stereo pairs in all, each featuring independent control. The unit comes with Blackbird control DSP Matrix mixer that gives you extended routing options as well as the ability to perform quick mixes in any given situation including live recording. The extensive digital I/O options include word clock I/O for incorporating additional gear, as well as 8×8 ADAT I/O for connecting another Blackbird to increase the channel count. In addition, Mackie have included Tracktion 3 music production software for Mac & PC, although the unit is compatible with any DAW you can think of including Pro Tools 9. For simultaneous multi-channel recording, with plenty of expansion options at an affordable price, it would be a wise move to consider the Onyx Blackbird from Mackie. MOTU are the brand that developed the first Firewire 400 audio interface in the form of the hugely successful 828, a product which has cemented their position as a household name in music production circles. The “Hybrid” tag is due to the fact that the Ultralite Mk3 model can connect to your Mac or PC using Firewire 400 or USB 2.0, making it a versatile and convenient addition to your home studio set up. There are eight inputs, with the first two being combination sockets that can deal with both XLR and 1/4” connections, while the other six are all 1/4” TRS type. Outputs are handled by eight 1/4” sockets along with S/PDIF I/O and to top it all off, there are MIDI I/O ports, further enhancing the flexibility of this compact but feature-laden interface. One of the unique aspects of this unit is the built in CueMix FX that include impressive on-board DSP effects including reverbs, EQ and compression on every input and output. Implementing the effects can be done from either the front panel on the unit itself or from the cross-platform mixing software and once set up, you are then able to unhook the unit from your computer (as long as the power is plugged in) and use the unit in standalone mode. In short, the UltraLite Mk3 Hybrid from MOTU has plenty of I/O options and is small enough to be able to travel with for use in studio productions or on stage. Apogee have brought their world class AD/DA converters to bear on Mac-based productions with great success, and now they have set their sights on iPads, iPhones and the iPod touch. This simple two in and two out design can serve both Mac OSX and iOS devices, bringing a professional touch to an even wider pool of music creators. The unit is served by a breakout cable that includes two combination inputs for serving XLR and 1/4” TRS jacks, and two balanced 1/4” line outputs. There is also a separate headphone output that can be assigned a separate stereo output using the supplied Maestro software. In typical Apogee fashion, the unit has a single push encoder on the front face, along with two touch sensitive pads and small but clear LED meters for visual reference of your ingoing and outgoing levels. The 24 bit recording quality the unit allows will allow enable you to record a stereo instrument or a vocalist and guitarist using most DAWs including GarageBand, Logic and Pro Tools. 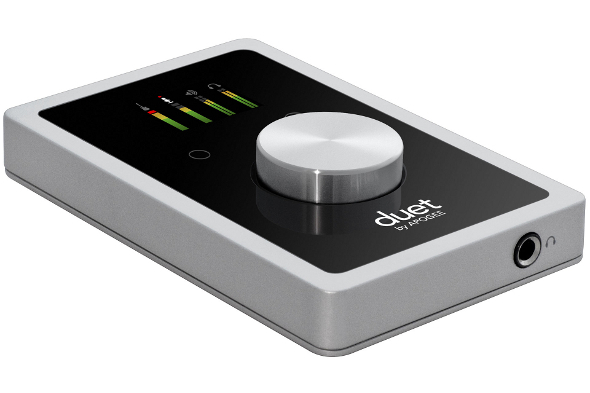 With the addition of switchable phantom power for getting the most from your microphone, and Apogee’s highly regarded soft limit to protect the integrity of your takes whilst protecting the optimum signal, the Duet is perfect for either recording small groups of musicians, monitoring computer-based productions or even for laptop DJs. One of the most respected audio interface brands to emerge in recent times has been RME. The Fireface UCX, from the German company, is only half a rack unit in size but it hosts 36 digital channels (18 inputs/18 outputs), eight analogue I/O, including two combi connections and two line level connections, as well as a handy remote control unit for quick tactile control over level and programs, and MIDI I/O with a breakout cable that gives you two inputs and two outputs. Also included is the TotalMix FX (with UFX effects engine). You can save and recall preset routings using the single knob and two digit display on the front face of the unit and along with an impressive array of digital connections, including S/PDIF I/O, word clock I/O and ADAT I/O, it’s conceivable that this diminutive audio interface could turn its hand to the most demanding of mobile recording sessions. In line with its mobile music creation credentials, the RME Fireface UCX can also operate in class compliant mode, allowing it to connect to your iPad via a camera connection kit, giving you eight ins and a stereo output. There is no difference in sound quality between audio created on an iPad to that created on a Mac or PC due to the fact that, with the iPad, it uses its own steady clock rather than the USB clock. If you want to unhook the unit from your computer, then the Fireface UCX can save up to six routings for instant recall as a complete stand alone unit. If you need uncompromising sound quality with total flexibility and expandability, then take a close look at the RME Fireface UCX. Apogee have made a name for themselves as world leaders in the field of AD/DA conversion (audio to digital and digital to audio) and this expertise has been packaged and made available in audio interfaces for professional studios all the way down to small home setups. 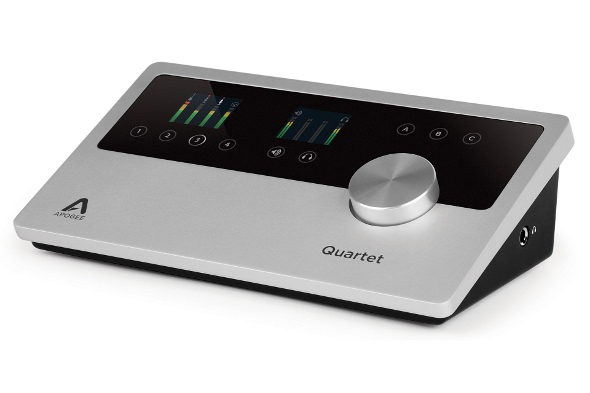 The Quartet builds on the popularity of the two channel Duet unit, providing four inputs and six outputs of pristine Apogee clarity in a single machine. The four combination sockets on the rear will allow you to connect both XLR and 1/4” inputs with a single push encoder and touch sensitive pads to control the input and output levels. The simple design of the front face accommodates accurate metering for the four input channels and three clearly labelled stereo outputs and headphone monitor. The Apogee Quartet is also one of the first multi-channel interfaces for the iPad, iPod touch and iPhone, including the iPhone 5 using Apple’s Lightning to 30-pin adapter. For complete control over the Quartet’s inputs and outputs, Apogee have developed the Maestro software that comes in the box with the unit. PC users should note that the Quartet is only compatible with iOS & Mac devices but can be used with a wide variety of music production software including Pro-Tools. If you are a serious desktop producer, that values top level AD/DA conversion with no compromises and fast tactile control, then the Quartet from Apogee will more than likely be your choice audio interface. RME are the German developers that are famed for creating solid, innovative and high quality digital audio solutions and their flagship audio interface is no exception. The Fireface UFX boasts a whopping 60 channels of audio management which includes 12 analogue inputs, four of which come in the convenient combination socket configuration allowing you to connect XLR and 1/4” TRS type jacks. The remaining eight inputs are the standard balanced 1/4” TRS type that can be found on the rear with a further 18 digital channels available via AES/EBU and ADAT. 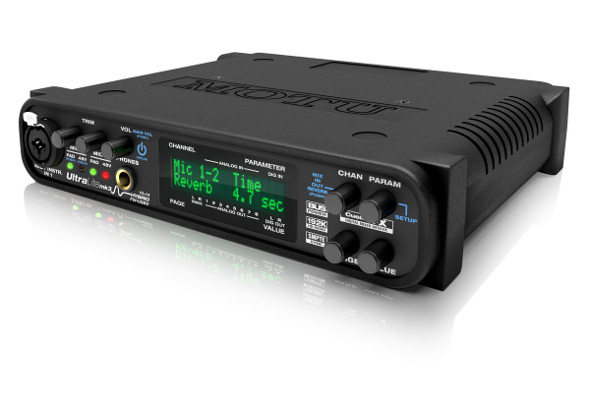 In addition the second ADAT I/O can be used as a S/PDIF I/O which further expands the flexibility of this high grade interface and, if that is not enough, both word clock and MIDI I/O are also available. The controls on the unit are simple, with a single knob for main output, headphone one and headphone two volume. Cycling through the outputs is done by pushing the volume control knob, and this kind of tidy design can be found through the entire RME range. 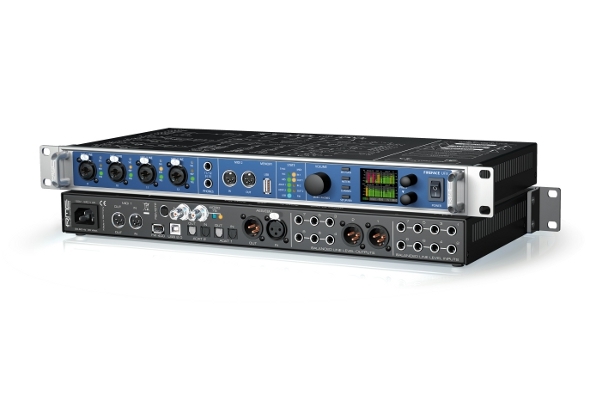 The Fireface UFX connects to your computer using either USB 2.0 or Firewire 400, and to get a more comprehensive control over the unit, RME have included the DSP-based TotalMix mixer and FX software that include EQ, reverb, dynamics and delay sends. However, the unit can also function without any assistance from your computer and in this state it is possible to recall six pre-programmed setups or use the clear colour display and physical front panel controls to set up the unit for recording. Finally, it’s possible to connect any USB thumb drive or external hard drive to the front port on the unit and record directly to the external device. All channels can be recorded discreetly in this manner or you can record to your computer hard drive and the external drive at the same time, so you have a back up. 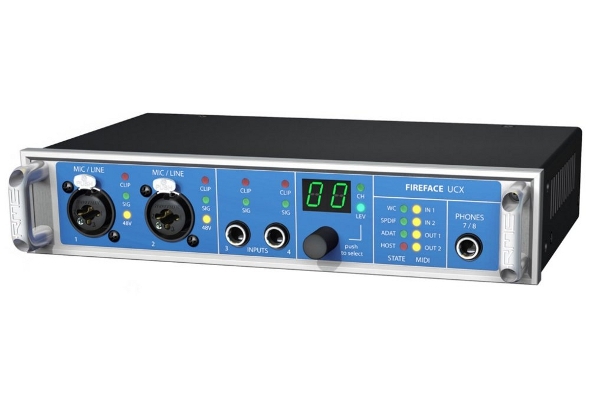 The Fireface UFX is the perfect solution for anyone doing any location recording or live band recording; tantalizingly, if you are a band that uses a lot of production on backing tracks then the unit also works as a standalone multi-channel playback solution that can operate without the computer. For a complete audio solution in a single unit, the Fireface UFX is as comprehensive as you will find.